War between the pure ones(sort of a vampire) against the vampires. Book #3 of a series that I wouldn’t recommend to be read as a stand-alone. This world-build is so rich that it can be confusing, specially for those that haven’t been following the series. This series is one of my favorites of 2018. Is so different from everything that is out there, that is a one-of-a kind read!!! Is a MUST READ to anyone that enjoys paranormal romance!!! Addictiveness: Over the top addictive!!! I’m obsessed with this series. Is always a one-sitting read for me. Character: hero 5/5, heroine 5/5, secondary characters 5/5, growth 5/5, real 5/5 This couple is different from the previous two couples. They are not as intense, there is a fun side to them. It was great to laugh a little with such intense series. I loved them. They were easy to connect and understand. Really, I think Ava maybe my favorite heroine until now. She is so different from everyone else of this series that makes her unique. Ryu never had a chance. How could anyone resist Ava? I also liked Ryu, but I wished his past had been more explored. I still would like to know more of him. I also love how there are always new, interesting characters being introduced in the series. Cover: art 4/5, title 5/5, subtitle 3/5, color-font 3/5, buy 5/5 Cover are one of my obsessions. This one has the perfect title. Good art work, but not so great use of colors. Also I still find it a bit too busy. The subtitles are too big and take a lot of space from the art, that should always be the main focus point of a book cover. Plot: believable 4/5, conflict 5/5, dialogue 4/5, ending 5/5, enjoyment 5/5, opening 5/5, pace 5/5, setting 5/5, subplots 5/5, twists 5/5 I really have to mention the setting. The author masterfully takes the reader into a journey through Japan and its culture. The details are so rich that almost made me feel like I was in Japan. Also, the creativity of the author has no bounds. In this particular book of the series, Ms. James show us readers a different side of her writing, a lighter side. This is as intriguing as the more intense reads. This way, she keeps the reader out of a comfort zone always wanting more. Writing Style: Every time I become more in love with Ms. James writing. Very creative plot, with fabulous characters and perfect romance. O.M.G!!! I have no idea, but I’m certain Ms. James will be able to offer something even more spectacular on the next installment of the series. I have become a fan of Ms. James. I know that I will read anything she writes. I don’t have to read blurbs to know is going to be an unforgettable story. As I said in my other review, I was avoiding reading vampire books. Ms. James has definitely corrected that. Would I recommend? If you like paranormal romance, this is a MUST READ!!! In fact, even if you don’t usually read paranormal give this one a try. Would I read more from the author? Ms. James has become a must read for me!!! You MAY read this because you like vampires; you SHOULD read this because you like steamy books; you MUST read this because is ONE-OF-A-KIND! Pa Ava’s breath froze in her lungs even as her heart pumped like a jack hammer. She stared owl-eyed and motionless into hypnotic dark brown eyes, so dark the pupils and irises were all but indistinguishable. 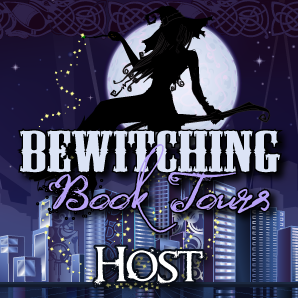 Aja James will be awarding a $10 Amazon/BN GC to a randomly drawn winner via rafflecopter during the tour.